Wolfgang Amadeus Mouse ("Wolf," for short) has a big name for such a little mouse. But the name fits. His favorite pastime is listening to Mrs. Honeybee, the lady of the house, play the piano. If only he could sing along to the music! 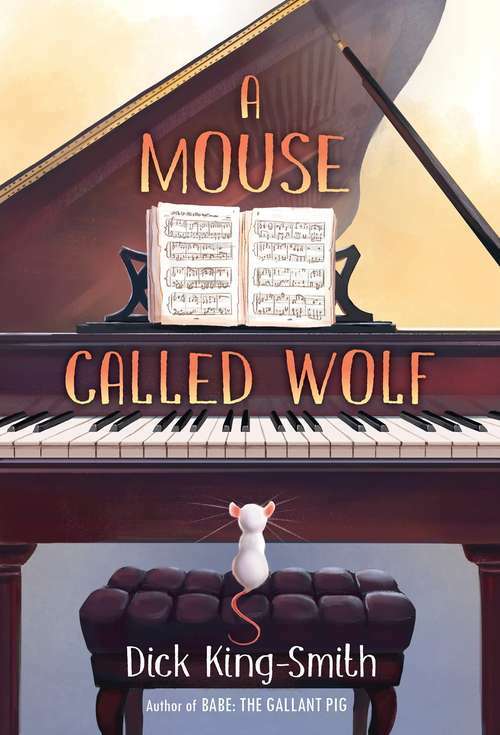 One day, Wolf decides to try -- and to his surprise, out of his mouth comes a perfect melody.It's not long before Wolf is singing everything from "Three Blind Mice" to Chopin to the Beatles, all to Mrs. Honeybee's accompaniment. Then an accident leaves Mrs. Honeybee in danger, and it's up to Wolf to save her... the only way he knows how.